Hats off to Lyndsay Borschke.Her city-inspired tuques have been turning heads since their debut at the Toronto International Film Festival in 2013, where celebrities including model Cara Delevingne and Clifford Smith, a.k.a. Method Man, wore them on the red carpet. The following year, when actress Lena Dunham appeared on CTV’s eTalk wearing a tuque with the word Toronto in bold letters, the $38 hats really took off. “I went from being a one-woman e-commerce show to an incorporated business with three full-time employees, two part timers, a growing wholesale business and a small brick-and-mortar flagship in Toronto, and all before my two-year anniversary,” says the 35-year-old designer who helms the clothing business Tuck Shop Trading Co. 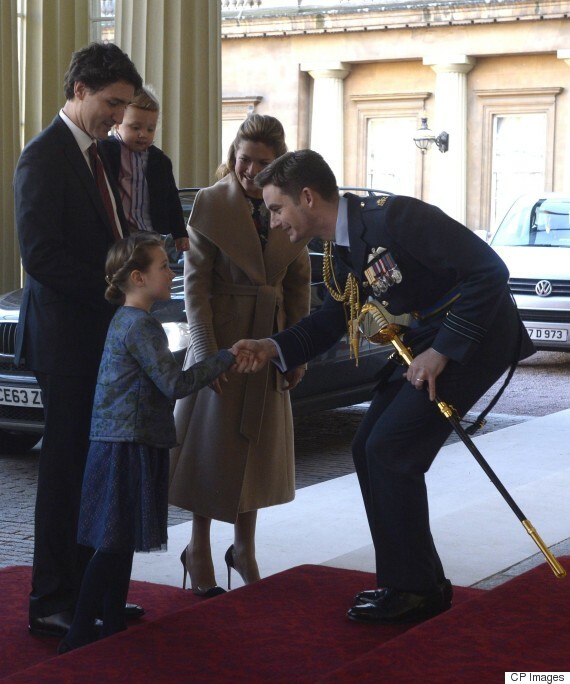 The wife of Prime Minister Justin Trudeauaccompanied her husband and two of their children to London for a six-day European tour on Wednesday. Their first stop? Buckingham Palace to meet Queen Elizabeth II. For the occasion, Sophie donned a camel coat from Canadian brand Sentaler (which is already proving to be a favourite label), which featured a belted waist and ribbed detailing on the sleeves. According to her stylist, Jessica Mulroney, the Canadian style icon wore an Erdem dress and Gianvito Rossi shoes, both from The Room at Hudson’s Bay Company, under the coat. A Birks diamond maple leaf, pinned onto her coat, finished off the look.